If you spent time on Twitter today, you probably heard talk of Twitter’s new muting feature. Muting a fellow Twitter user will scrub their tweets and retweets from your home timeline, but replies and mentions from them will still appear in your notifications pane. Functionally speaking, Mute has its roots in Twitter’s attempt late last year to change the way blocking a user worked. At the time, Twitter made it so that blocked users could follow and see your tweets, but their interactions with you wouldn’t show up in your feed. However, Twitter undid the changes just hours after launch when a number of users quickly decried the new policy because it made them feel less safe. Today’s launch of the mute button isn’t just a relabel of the aborted block feature. 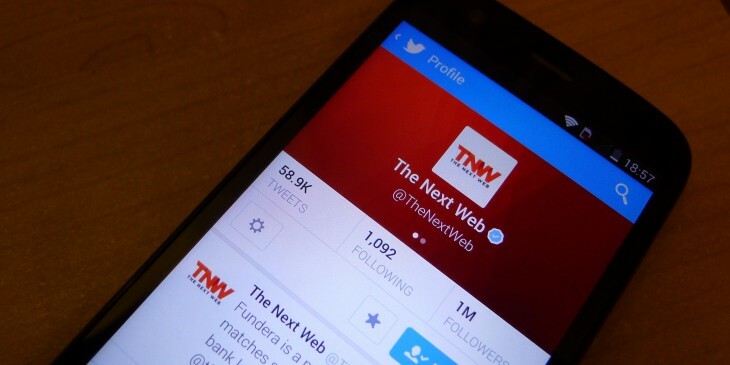 Twitter did rethink the user action and came up with a better way to cast it. In their current iterations, block and mute solve two different problems: safety and noise. Twitter’s mistake in the case of last year’s blocking furor was to try and change user behavior around a highly charged, and potentially dangerous, subject: abuse. When Twitter tried to change blocking, it defended the decision by pointing out that blocked users could already view tweets from public accounts anyway by just going to a user’s profile page. It also claimed that the new feature was more secure because it removed the error prompt that users received when trying to follow someone who had already blocked them. The truth is, I’ve long wanted a mute button on Twitter. Living on the West Coast, I have to sign off Twitter early when big TV events like the Oscars are happening because folks on the East Coast are tweeting spoilers or the feed just gets too noisy. However, this initial implementation has limited utility. There’s a strong likelihood that I’ll forget to unmute folks and just end up never interacting with them again. The ability to preemptively mute specific words and hashtags and set time limits would give me more of a reason to use it. Last week, several publications called for an end to the so-called “tweetstorm,” the practice of tweeting out a numbered list of thoughts in rapid succession. While long-form tweeting has its place when coming from someone with a lot of insight, our timelines just can’t handle the barrage of tweets, replies and manual retweets that ensue. Muting is kind of awkward. It lacks the severity of the block and the finality of the dreaded unfollow. While it does let users keep DMing you and remains invisible to the targeted user, there’s only a limited set of situations where those offer much benefit. I’ll give muting a try the next time someone gets overly excited about the event they’re at, but I’m doubtful that this is going to clear up much of the noise that is clogging up our timelines. It’s certainly a step in the right direction to have greater control over whose content ends up in our feeds, but Twitter will have to move beyond manual muting to automated filtering for this to be truly useful.